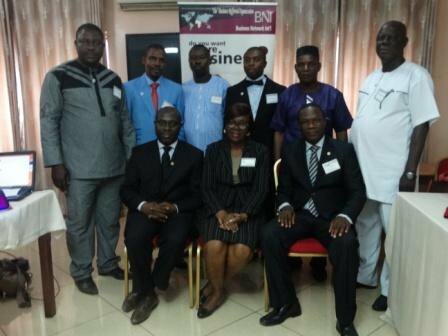 BNI Gateway Chapter, Sango Ota, Launched. 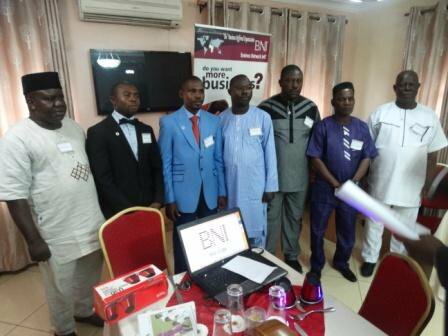 The BNI Nigeria family today welcomed a new member into its fold with the successful launching of Gateway Chapter in Sango Ota, Ogun State. 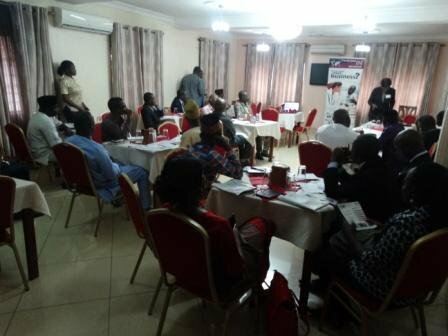 The event which held at the Bezer Hotel, Sango, had in attendance business owners and entrepreneurs including representatives from the Guardian and Punch Newspapers. The Director consultant, Mr. Dotun Betiku shared testimonials of BNI success both in Nigeria and globally while the National Director explained that BNI is bringing business growth, employment growth, income growth and better businesses to the Ota business community through the BNI proven business growth method. According to him, what makes BNI so successful is because the organization established in 1985 in the USA solves a basic problem most businesses face: "What is the best way for me to generate referrals and more sales?" The event lived up to its billing as several business referrals were generated during the first business meeting meeting conducted by the newly inaugurated leadership team. Over six business referrals were generated. An interesting aspect of the event was the passing and giving of referrals by some of the guests to members of the new chapter. Besides, viable business connections were struck as some of the guests found out that members of the chapter can adequately serve as their corporate needs. The event was attended by the Director Consultant of the Abeokuta Region, Mr. Dotun Betiku, the Executive Director, Mrs. Kenny Olubanjo and the National Director, Mr. Chimaobi Agwu. Also in attendance was Mr. Jacob Koudoyo of the Lagos Premier Chapter of BNI. The new Chapter holds its business meetings at 8am on Tuesdays at the Bezer Hall and Hotel, Adalemo Bus Stop, Besides Ascon Oil, Sango Ota, Ogun State.